The Citroen C4 is known to have problems with the electric power steering pump, which causes the complete loss of power steering. It can occasionally start as an intermittent loss of power and progresses gradually. 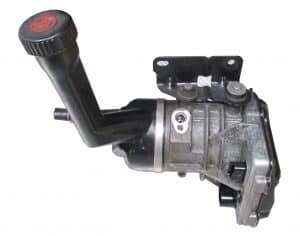 Most of the common failures occur due to the electric power steering pump staying on even when the vehicle is switched off, as the unit drains the battery. Also as the unit is always on, this can cause the motor inside the pump as well as it’s controlling circuitry to eventually just burn out. If you take this to a local garage, or dealer, they will more than likely advise that the unit will need to be replaced, however, new units can be extremely expensive and may require coding / programming. Here at Power Steering Services, we can remanufacture the Citroen C4 Power Steering Pump and permanently repair the fault which causes the pump to stay on and burn out in the first place. Due to the high demand of these pumps, we now keep these units in stock ready to be exchanged with your old unit, and will also come with Lifetime Warranty. Professional fitting services are also available. Call us today on 0208 853 3343 for further information.